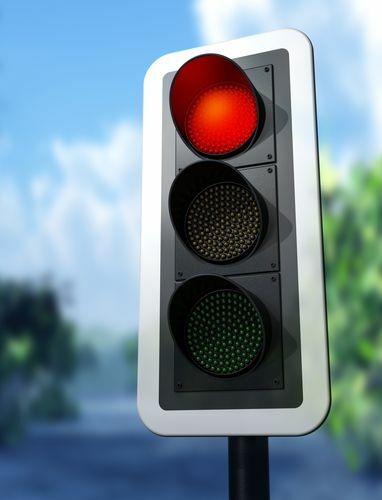 One common cause of car accidents in Florida is drivers who ran a red light. Many drivers speed up when they approach a yellow light—which is a warning to slow down and prepare to stop—trying to rush through before the light turns red. What happens, however, is the driver does not get through the intersection before the light changes to red? The typical excuse offered by drivers who run a red light is that they are in a hurry. Another category of red light runners is inattentive or distracted drivers, who miss a red light because their attention is not on the road, because they are talking on a cell phone, texting, rubbernecking, eating or drinking, or adjusting the radio or GPS. Occasionally, a red light accident will happen because a traffic light has malfunctioned. Deaths caused by running red lights are increasing at more than three times the rate of increase for all other fatal crashes. More people are injured in car crashes in Florida involving drivers running red lights than in any other crash type. Drivers running red lights is one of the most frequent causes of car accidents, accounting for approximately 90,000 car accident injuries and almost 1,000 wrongful deaths each year in the United States. Reducing the number of drivers who run red lights by instituting red light camera programs is an effective way to protect the health and safety Florida’s citizens. If you’ve been injured in a car accident caused by another driver who ran a red light, you can learn more about making a claim to recover your losses by reading a free consumer guide written by Jim Dodson entitled Five Mistakes that Can Wreck Your Florida Accident Case.